The world is filled with angry people. All lashing out and fighting with each other. Yet anger is merely an expression of the overwhelming pain and hurt that is stored inside. You are not a bad person for feeling angry or for lashing out at your loved ones. On the contrary, you are hurting – and if you are reading this page then you want to learn how to control anger as much as your loved ones do. The key to anger management is to access and resolve it’s cause directly in the unconscious mind – which is what Greene’s Release specializes in. You will discover that anger and its cause is not complicated at all, but instead simple, and extremely easy to access and resolve. 2. Why Do I Get So Angry? 3. Self Test – Is Anger Controlling Your Life? 4. Where Does The Anger Come From? 6. Why You Haven’t Been Able To Resolve Your Anger? 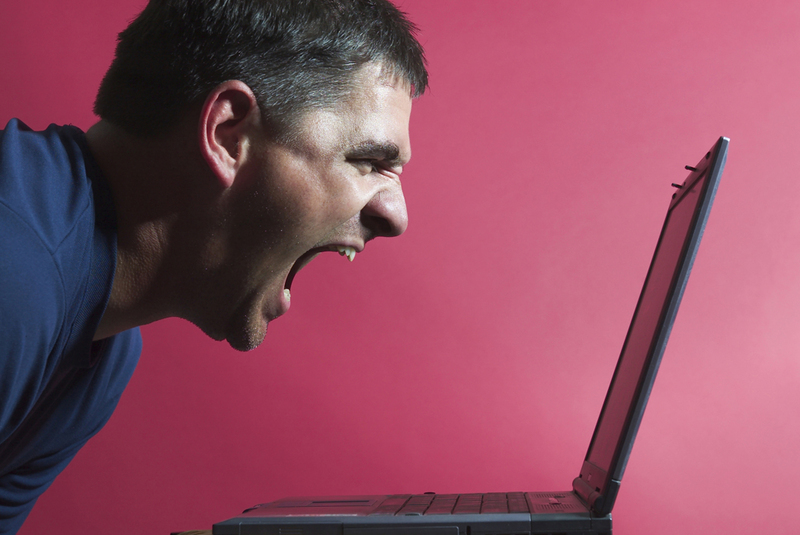 Anger is an emotion – a spontaneous reaction to life events. Each person has a dominant emotional response to stressful life events. These include hurt, sadness, being overwhelmed, and anger. Individual responses to situations are not dependent on the type of event but your particular dominant emotional response. That’s why two people can have entirely different emotional responses to the same event. While hurt, anxiety and sadness are strong emotions that make life difficult, they are mostly silent and only known to the person experiencing them. Anger on the other hand is an emotion that is physically displayed – yelling, screaming, emotional outbursts, destruction of property, fighting, and physical attacks. Lashing out in anger has been my response to most everything as a protection mechanism for me. While I have tried other therapeutic approaches, Greene’s Release, allowed ME to understand why I choose anger over other emotions. Especially those emotions that can be positive. Now, I feel my joy and worth, calmly state my hurts and needs. I feel more responsible and actionable (in a positive manner) for my emotional state. Greene’s Release led me to understanding and compassion for myself. The person whose dominant emotional response to life stressors is anger often behaves in ways that are socially frowned upon. They have to deal with the emotional and behavioral responses of the recipients of their outburst. The thing is that no matter what your particular emotional response, it is automatic, not planned, and reactive so you can neither control nor understand it, which can leave you feeling very confused and angry with yourself. Recipients of your outbursts have no idea that this is an automatic response, so they take the behaviors personally and react to it according to their own particular emotional response. Anger has been your method of hiding your hurt and pain. It has been your way of being strong instead of weak and emotional. Anger feeds adrenaline and doing this makes it harder to realize and take the first step to end it. And today, right now, you need to know and take a stand against anger. Think of it as a third person, an emotion that is hurting too many people and damaging lives. Unless you wish to knowingly hurt people, then you have to take action. Right now! I would hide the hurt from her – I wouldn’t let her see me cry – you can’t make me cry. Now I know that it is ok to cry about a hurt. I am good enough! I think I feel more sorry for her looking back on it. Anger covering up hurt. Wow! That is a surprising revelation! Perhaps you grew up in an abusive and angry home, or one where emotions were viewed as weak. Perhaps you decided to hide your emotions from those who said cruel things to you, by being angry. Perhaps you have absolutely no idea why you get so angry. Yet you spend your time trying to figure it out in your logical mind. Perhaps even going to anger management classes or looking everywhere for something that makes sense of it. Anger is your life topic, so keep reading and it will all make sense. Take a couple of days to think about the following questions and find your own answers. Remember that it is natural to feel angry when you feel ignored or demeaned, or when people treat you disrespectfully. 1. What is happening in your life? Are you doing what you love to do, being the person it feels natural to be, and surrounded by people who love you? 2. Are life events dramatic? Is your life flowing along happily or does it seem like everything is going wrong, with unhappy experiences being repeated constantly? 3. Do you feel full? Are you filled up and fed up with the sadness and unhappiness of life, and just wish to escape it all? 4. What do you think of people and your interactions with them? Do you generally like or dislike people? Are they usually kind and helpful, or always seem to be doing things just to annoy you? 5. How often do you get angry? Do you get angry at little things, or seem to explode at the slightest incident? Are you an angry person? Do you even know why you get angry all the time? 6. Make a list of what your life comprises, then examine it. What are the components of your daily life, the regular events and situations, and your emotions and feelings. 7. Is your anger a natural response to individual events or seem to be an out of proportion emotional response that has taken control of your life? The frequency and intensity of your anger is due to the quadruple dose of triggers that you are exposed to. You are filled with anger to overflowing. Anger as an Emotion: As with all emotions, anger is a naturally valid response to experiences. It is normal to feel angry when we are treated badly, when we are hurt and when we are abandoned or abused – yet many people repress their anger as it is viewed as wrong. It is also normal to feel angry when we avoid our “hurt” emotions. Repressed Anger: Whenever we avoid our emotions they are compounded with the previously repressed ones and stored in our unconscious mind. I realized that my husband’s particular behavior was a trigger and he wasn’t the issue. After lifting layer after layer I realized that I had been suppressing all this pain. It all amounted to childhood pain – so much of it – gosh I had no idea. I was able to release pain, sadness and afterward I was able to sit peacefully and get in touch with the little girl inside me that had been feeling all this pain and sadness and talk to her and comfort her. Therefore, the anger you feel today is not a reaction to today’s event, but instead comprise the anger you have felt every single time you have experienced this same event. That’s why the intensity of your responses do not match the current situation. Your inner storage bucket of anger is filled to overflowing! Anger as a Dominant Emotional Response: Whenever you are upset, stressed, or the hurt and pain that’s stored in your unconscious mind is triggered, you automatically respond with anger – your dominant emotional response. The current situation → creates an automatic emotional response → anger (your dominant emotional response). The current situation → triggers one of your life issues → creating an emotional response → anger (your dominant emotional response). Our lives revolve around life topics, and events which are continually repeated in order to push ourselves to go within, heal and discover the meaning of life, as the only means of escaping the situations these life topics create. While life topics are very upsetting and dramatic while people are still within them, I see the joy and excitement when people are freed. Child abuse is amazing, as the happiness of the exuberant child immediately jumps up when releases are completed – as you see in many of the comments. It is often a contradiction that many people have to push themselves to such extremes before they are willing to learn about life – especially when the journey is so incredibly special, and the outcome is what we all dream of having – nirvana. It goes way back, childhood sexual abuse, and as adult anger for not being able to express my emotions verbally. I’m shut down. Angry for decisions I made that I feel I should have known better, angry because I’m physically dependent on people. Anger wants to yell at dad, for everything. Yell and cry for the stuff that happened. Angry because I thought I’d healed everything. Anger wants to spin out of control until it can’t go anymore! Think about the topic again, what do you feel? Nothing! *laughing* It is Finished! She felt the sadness and was relieved, we replaced it with love – she smiled when I hugged her. You can discover the opportunities your anger life topic gives you by writing down the exact opposite of what you currently think of yourself, people, your relationships, life and the world. Imagine living that life! Many life topic events involve 3 emotional responses – an emotional shock that it happened, anger, and hurt. Typical anger topics include abuse, adoption, parent’s divorce, death of a parent, being bullied or made fun of at school, embarrassing experiences. Some of the strongest anger responses I have personally witnessed during release sessions have come from people who were physically, sexually or emotionally abused as children, or who were abandoned or adopted. But I have also seen deep resentment and anger as a result of a teacher’s public chastising. Yet most of these people had absolutely no idea that they were holding onto any anger about the event at all because it was hidden behind their repressed shock and hurt emotions. Of course you would think this, and want to stay focused on anger alone. But your anger is a symptom – why you are angry is the actual topic. It is like lining up buckets under a leaking roof (to cope with the symptom of dripping water) rather than getting the roof fixed. Which would you prefer to do? Learn how to better cope with the symptom (angry outbursts) or resolve the cause of your anger. When you understand why your previous efforts to resolve your anger have failed, you will be open and ready to permanently resolve your anger via a different approach. Counseling: What do you do in your counseling sessions? Talk about anger, rationalize it, decide to modify your behavior, prepare steps to stop and redirect the anger emotion when it surfaces? Does it work? Or does it merely help you cope with the daily symptom of anger? You cannot understand an emotion that originates in your unconscious mind by consciously thinking about it! You cannot change or control an emotion that originates in your unconscious mind by consciously telling it to stop! Avoidance: Okay, so you feel the anger welling up inside, and you decide to deliberately stop it before it gets out of hand. Does this work? Short-term or long-term? Every time you deliberately avoid an emotion you repress and send it inside to compound with your other stored emotions. You are full of emotions – that is why they are bursting out at the seams. Avoiding emotions does not dissolve them! Hypnosis, mind control, meditation, NLP: There are many wonderful methods that do help anger emotions – in the short term. “Are you ready to let it go?”, “can you let it go?” But, what happens next time your anger is triggered? Do you really want to have to continually deal with the symptoms, over and over and over again? Band-aid methods don’t resolve the cause of anger! They only teach you how to better cope with the symptoms! Each time you repress an emotion with a band-aid method, you are increasing your stockpile of angry emotions! Investigating anger: There is an abundance of literature about emotions, and anger. You may understand it in great detail, but does that enable you to apply this information to your physical life and resolve the cause of your anger whenever it is triggered? You cannot resolve an emotion by intellectualizing it! Your focus has been to cope with the symptoms instead of resolving the cause. It is impossible to consciously address something (the cause of your anger) that is beyond conscious awareness. All it takes is one decision, to totally transform your life! Have you ever woken up and heard a decision come to mind out of the blue. “I am going to get a new job”, “I am going to move out of my parents house”, “I am going to change my life”, and you did it. These decisions are spontaneous statements of intent. They are statements of what has to become your reality, no questions, no doubts. They are what you have decided has to be, so they are naturally fulfilled. That’s when I knew I had to do something! I am so glad that I did! Everything has changed. My life, my relationship with my son. I am happy at last. Are you ready to change your life? Are you ready to reach your spontaneous decision that enough is enough? Are you ready to claim the exact opposite life? This podcast will help you reach this decision. Thinking about anger does not resolve it – as you have already discovered. As strange as it may sound, thinking about your problems actually prevents you from resolving them. The good news is that Greene’s Release shows you how to go beyond thinking about it, to actually get to and dissolve its base cause. So there is no longer a need to think about or focus on anger, tell yourself to “stop being angry“, understand your anger, or even decide that you have to look at your anger in a different way. You can relax! When I can’t control my feelings and the chatter in my head, all this anger comes out of nowhere and I lash out at people. I just get so angry and want to explode. My baby is scared of me and cries for his father. I am able to feel love for my son now, and have started getting close to him. Something I couldn’t allow myself to do before. I do see a change, he is more loving and wants to be around me more. You’ll learn how to easily go beyond your limited problem solving mindset, right to where the cause of your problems are stored. Then it’s a simple process of using the Greene’s Release Technique to completely and permanently resolve and dissolve it. Once you experience it first hand it won’t seem impossible or complicated at all – as you can see by the comments people make. The results amaze me every single time! Our workbook Heal Your Self: A Journey to Find You, which includes the Greene’s Release Technique, shows you how to heal the cause of your anger as part of transforming your entire life. It won’t seem like work at all, or as if you are doing anything about anger. Initially, you can expect to do things that wake up your mind and stimulate your senses, rather than charge into analyzing and brainstorming solutions for your anger problems (which as you know, doesn’t work). This unique approach is the key to developing the necessary skills so you can take a walk right into your unconscious mind to resolve and dissolve the base cause of your anger with the Greene’s Release Technique. But you don’t have to wait until then to see changes in your life. Because the workbook involves tools that you learn by physically experiencing and applying them to your specific life circumstances, your everyday life automatically changes without effort, as each exercise builds upon the previous. You CAN do this. You CAN heal your anger. There is no reason for you to continually live with this pain. All it takes is 30 minutes a day to heal and gain control over all aspects of your life. If you’d like to experience the kind of dramatic, positive change the Greene’s Release materials can create in your life, take a look some workbook excerpts then order Heal Your Self: A Journey to Find You workbook today and take the first step to change your life. This entry was posted in Anger, Blog and tagged anger, anger control, anger management, control anger, how to control anger, what is anger, why do I get so angry. Bookmark the permalink.